It seems silly to have a recipe for such a simple dessert, but if you've never tried this combination, here is a place to start. 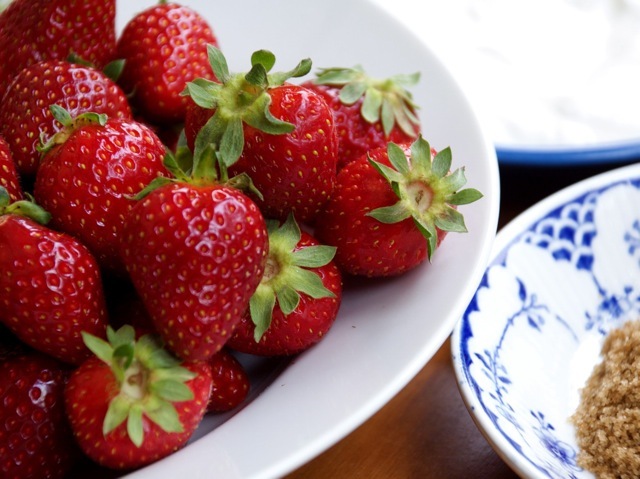 I first had this at a friend's house when I was a young girl; it has been a favorite way to eat fresh strawberries ever since. Place each of the ingredients in three separate bowls. To eat, hold a strawberry by the hull and dip it into the bowl of sour cream. Next, dip the strawberry into the brown sugar. Eat and repeat.